Dubai is such an overwhelming place; a city in the middle of the desert with overlapping roadways, the highest building in the world and temperature that makes you sweat as soon as you hit the outside air. In the eyes of someone who has never visited, Dubai is known for the 828m Burj Khalifa, the largest mall in the world, the longest indoor ski slope and the world’s only 7-star hotel. Dubai is literally breaking all the records, but what I found interesting, is its situation. You look out the window and you’re surrounded by desert. 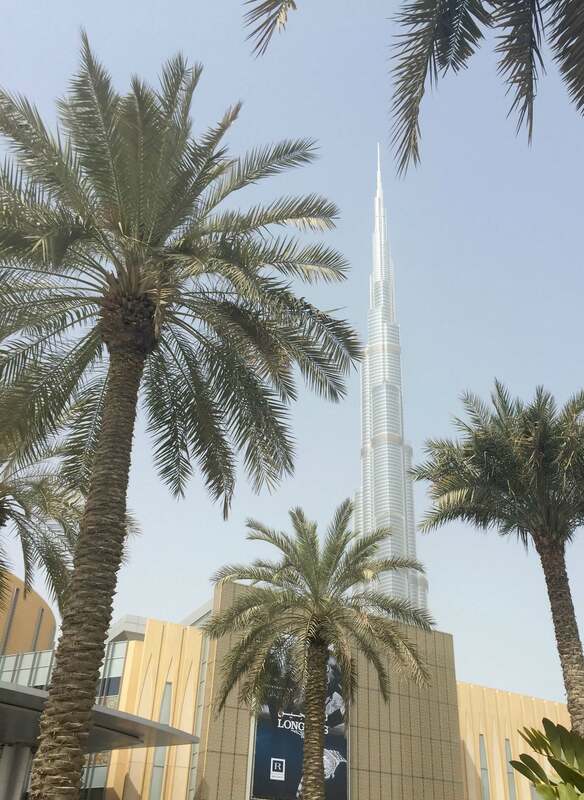 What makes this city tower everyone else, aside from the Burj Khalifa of course, is its incredible wealth, it’s strict laws, it’s crazy low crime rate and it’s constant growth. 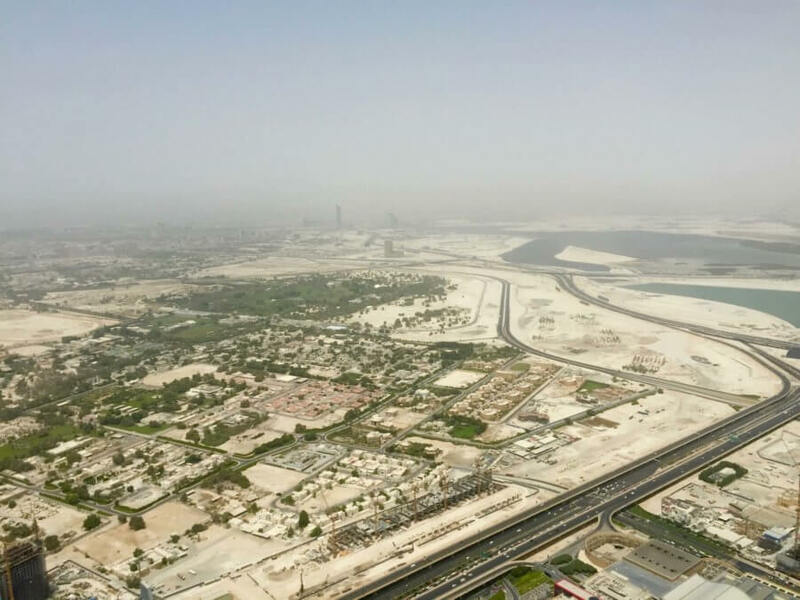 Just to put into perspective of just how much Dubai is growing… 25% of the entire world’s cranes are in this city. [mind blown] Dubai became so rich not only from the oil industry (which most people presume) but from the incredible amount of real estate, airport, airlines and drastic increase in tourism. The difference in Dubai in the last 20 years is completely unthinkable. In 1999 the city was basically a complete desert. In 20 years it has grown so much that they are now planning a fully indoor, 50,000,000 square foot, climate controlled city… From scratch. This city is going to be created in a dome, with a removable roof that will be open during winter and close during summer. Perfect and enjoyable weather all year round, just like the futuristic movies. You probably never thought things like this would happen, but just know that Dubai is the place that will always do it first. Dubai International Airport is the worlds busiest airport by International traffic, taking the lead by almost 8 million. Almost every international flight I have been on has had a stopover in Dubai. Yet up until last year, I had never stepped out of the airport. I have been here 5 times, each of which consisted of a 20+ minute journey to different terminals – That’s just how big it is. The scale of this city is unfathomable. Every road is big, every shopping mall is big and every building is even bigger. The scale of growth is so large that approximately 85% of the population is foreign. With most coming from India, Bangladesh and Pakistan, the majority of whom moved to Dubai to work, live and basically earn a tax-free income. Amazing! Aside from all the wealth and constant change, areas of this city have still preserved its culture. Once you step out of the centre of the city there are mosques, interesting markets, historic museums and miles and miles of desert. The largest mall in the world. 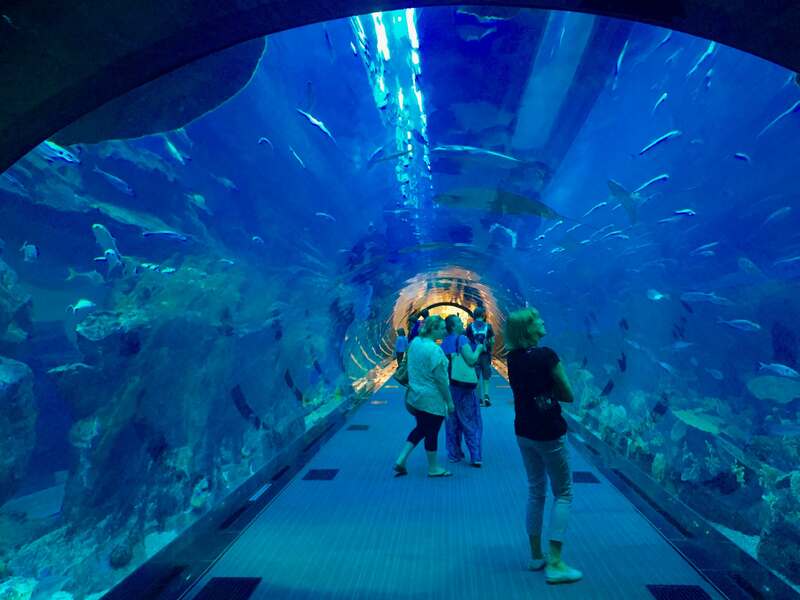 An indoor aquarium, zoo and endless shopping. The most incredible mall I can guarantee you will ever see. The tallest building in the world, with views that will blow your mind. 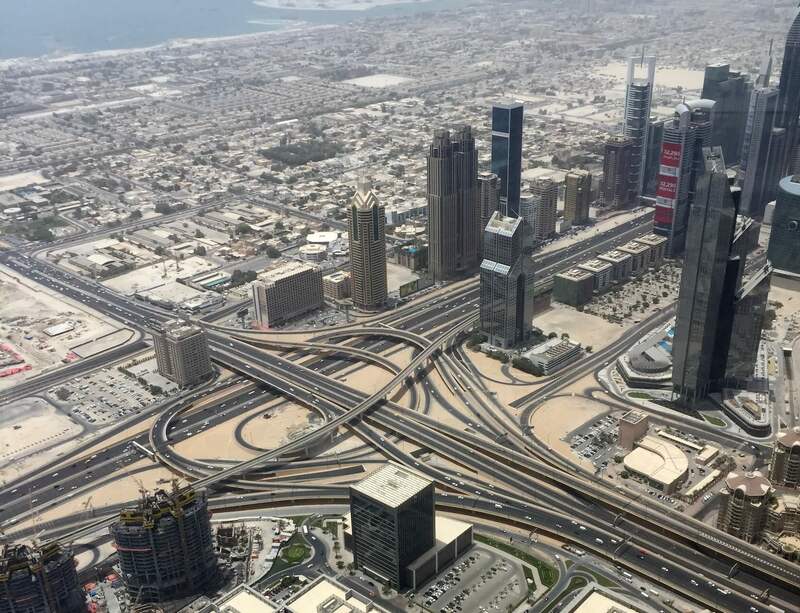 Want to see where Dubai really is… Then you should definitely visit the world’s highest observation deck. You’ll quickly realise that this really is a city in the middle of the desert. No ifs or buts! This tiny museum outside of the busy centre will teach a lot about the history of the city. Very small, but full of life, character and knowledge. This was easily a highlight of my trip. 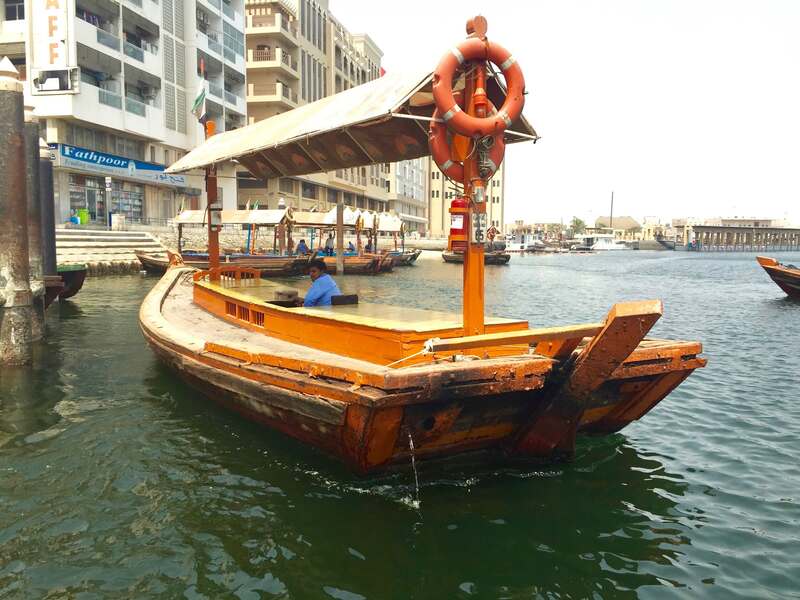 Only a short walk from the museum, through the local markets, to a small boat that the workers use to cross the river. Only $1 per trip for a ride past transport boats and more. And it takes you right to the gold souk, bonus! I haven’t done this, although I would really love to. 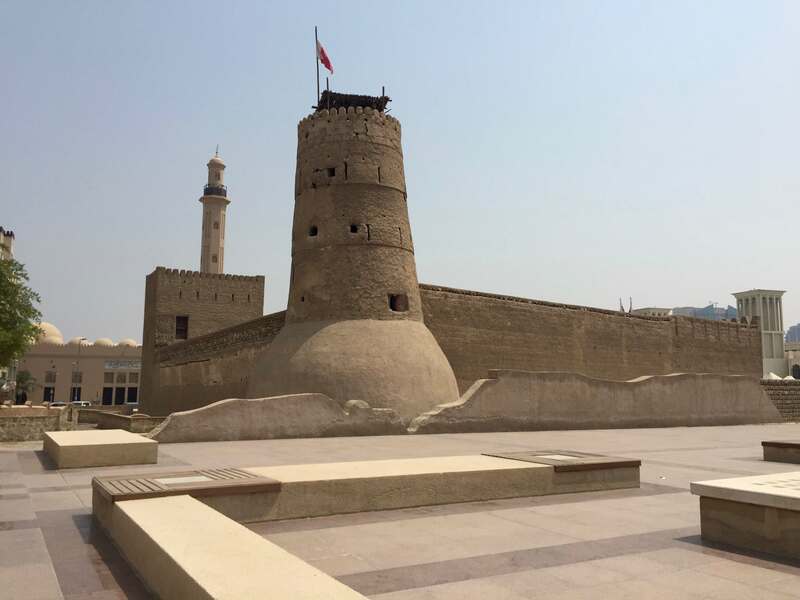 It’s become quite the tourist attraction for visitors to experience what Dubai might have been like back in the day; before the high rise buildings, shopping centres and soon to be indoor cities! Another huge mall that has an indoor ski slope – Crazy! During my visit to Dubai, it was the beginning of Ramadan. More than 95% of the residents in the UAE are Muslim, which made finding food to eat during this ‘holy month’ very difficult! It was such an interesting experience to be a part of for a few days; speaking to the locals about this tradition helped me to understand. For those of you who don’t know much about Ramadan, it’s an entire month of fasting during daylight hours. This is to show worship to Islam and focus their attention on God; food and drink are served before sunrise and after sunset and the areas where food is consumed for other religions are completely concealed by huge barriers. To be completely honest, in Dubai this is only in shopping centres.. everywhere else is closed! So before you book your trip to Dubai, think about Ramadan. You will have great difficulty finding food in this city, so definitely keep it in mind. But I must say, visiting during the holy month taught me a whole lot about Muslim culture… So don’t let it scare you! This city, situated in the middle of the desert, is kicking all the goals. You will see more luxury cars than you have in your entire life (even the police drive around in Lamborghinis!) You will learn a lot about middle eastern culture, you will be blown away by the scale of literally everything and you will be left admiring a city that has built itself from nothing… To now become one of the fastest developing cities in the world. Have you been to this city in the middle of the desert? I’d love to know what you thought of your experience down in the comments below! I really like by reading your Dubai trip experience. I wonder why you have not done a desert safari? Next time when you come to Dubai email us., my company would sponsor your desert safari trip. I unfortunately didn’t have the time! Thank you so much for your offer though, I will definitely contact you if I ever find myself back in Dubai 🙂 Have a great day! Dubai is a great city. I am going there next month. I’ve always wanted to visit, you’re so lucky!